Good afternoon everyone! 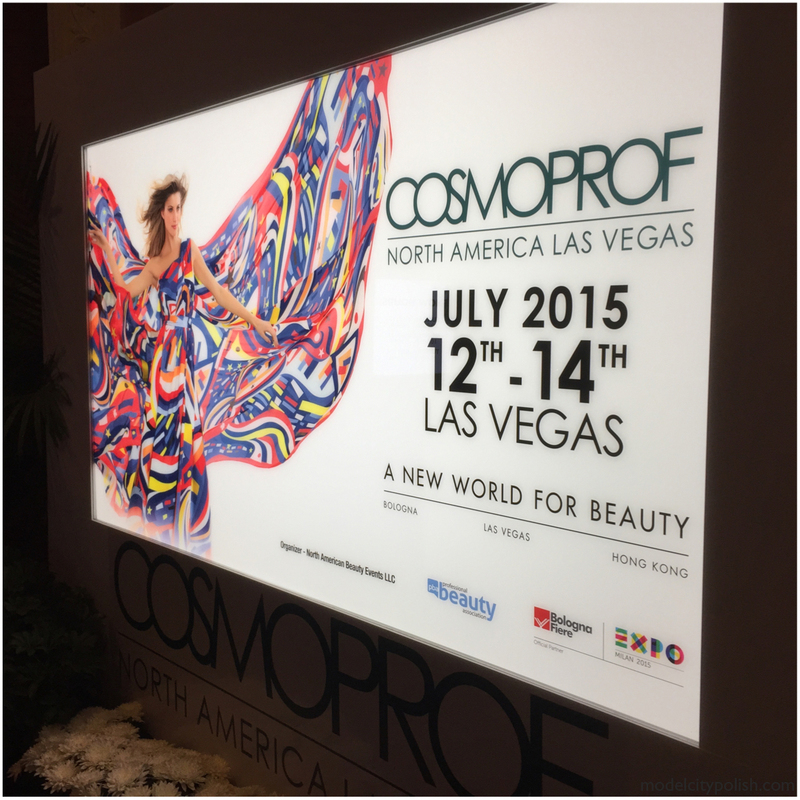 I am finally back home and ready to start sharing tons of great finds from this year’s Cosmoprof in Vegas. I am going to share each day in it’s own post and then I will have individual reviews of various products so I hope you guys are ready to see tons of awesomeness over the next few weeks. Now for the first day of Cosmoprof! 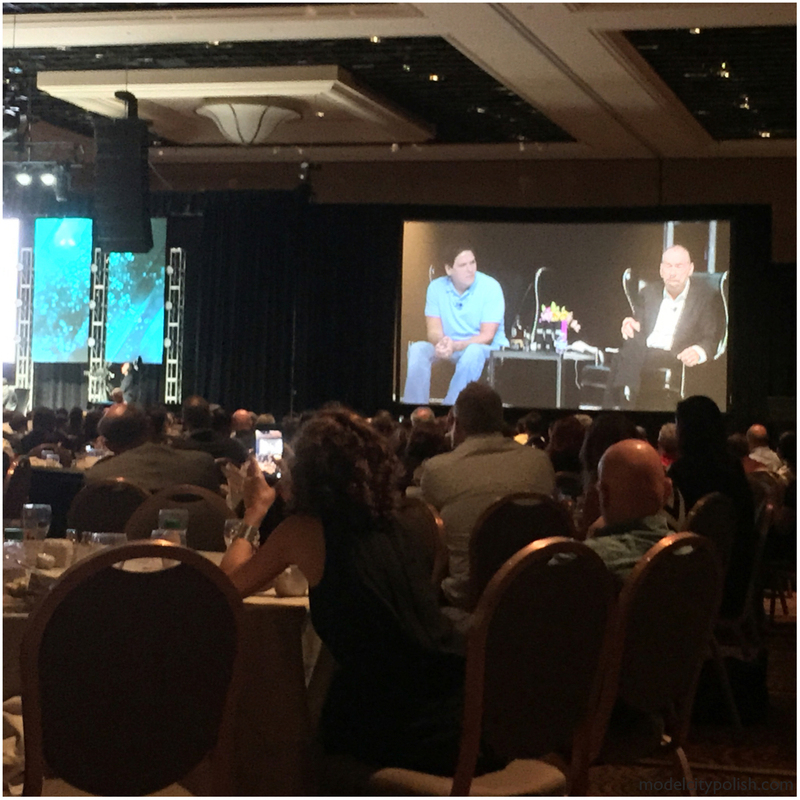 The morning was kicked off right with a great event which included the first Beauty Pitch and guest judges that included Mark Cuban and John Paul DeJoria. Before the Beauty Pitch was started we enjoyed a great Q&A session with this year’s judges, which was just totally awesome. The Beauty Pitch was a first and a ton of fun to watch. There was a total of 5 beauty brands covering various aspects of the market, competing for some awesome prizes. The audience award winner was 18.21 Man Made and will be displaying next year, something already for me to look forward to. 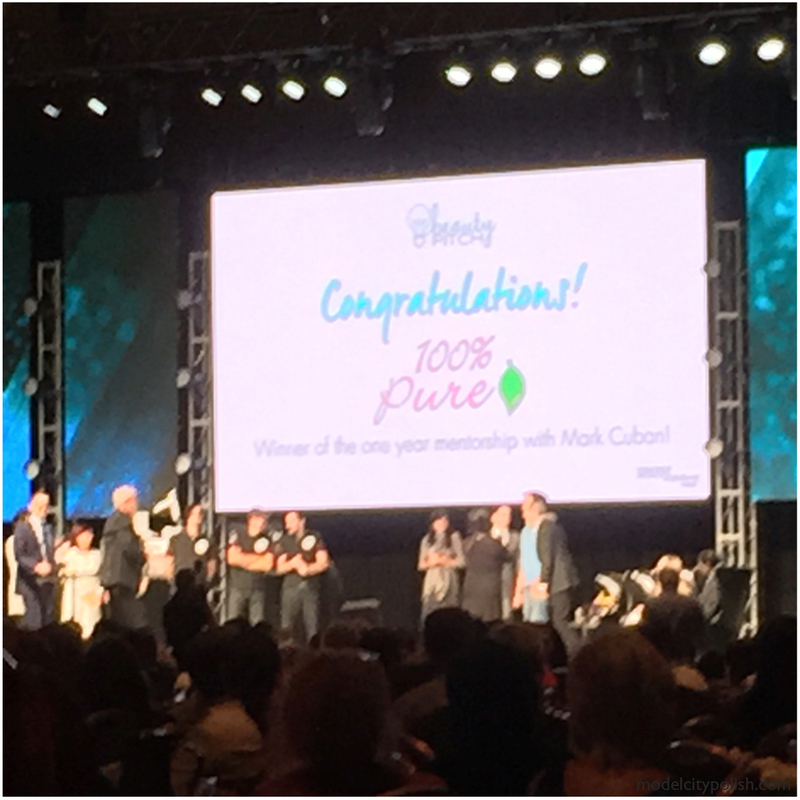 The winner of the Mark Cuban membership was 100% Pure and I had the pleasure of swinging by their booth that day. Now of to the showroom floor! One of my first stops was by the Tangle Angel booth. Last year I shared one of their awesome brushes so I had to see if they had anything new, or just all around awesome. What I found may be the cutest thing of the showroom floor. 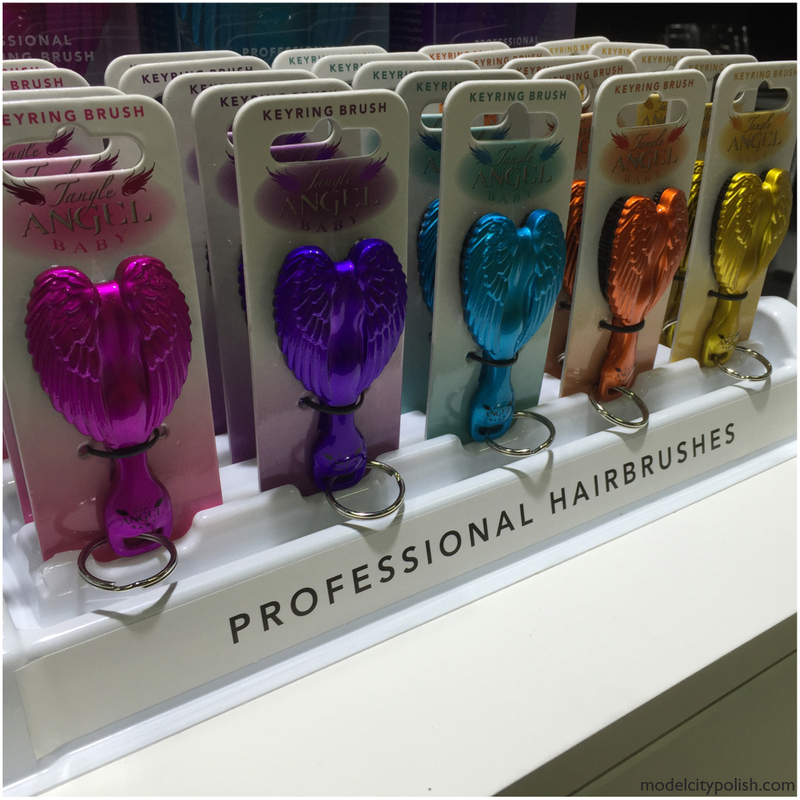 The Tangle Angel Baby is a super cute, on the cute brush. Coming from someone who has thin and hair that just tangles by looking at it, I need one of these mini brushes!!! 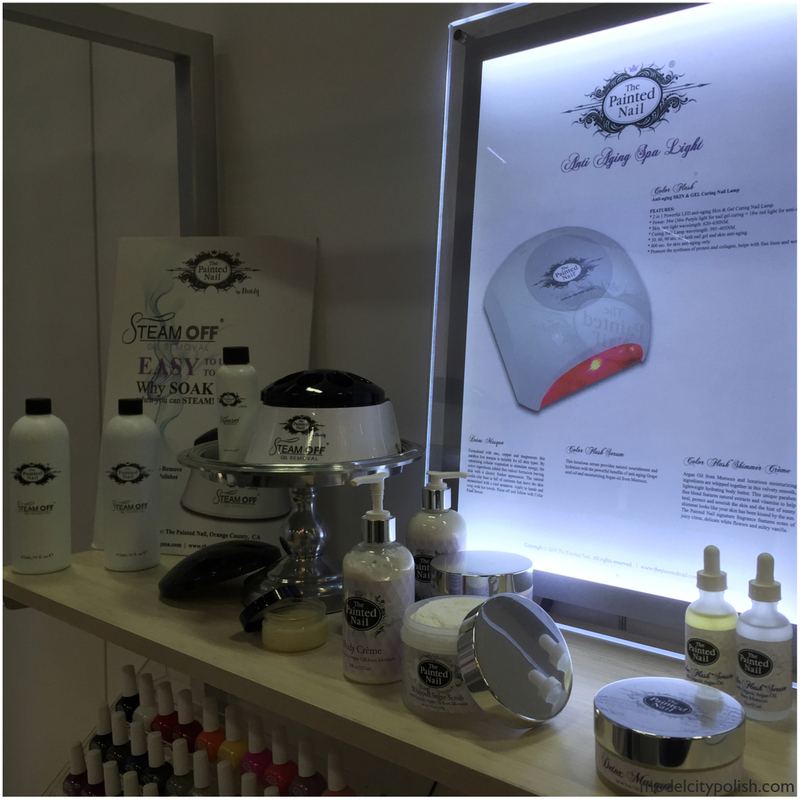 Next stop was by to see hey to Zoya and check out some of their new products. As always, Zoya was amazing and her team was just fantastic. 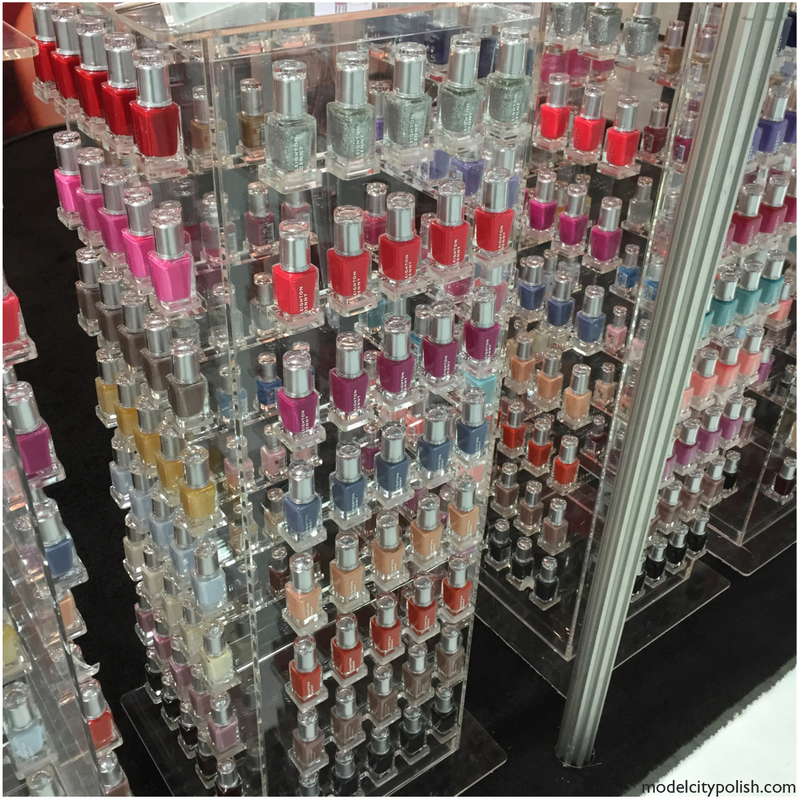 I got a sneak peek at the new fall and winter colors and learned more about their latest products, The Naked Manicure. I learned a lot about the purpose of the Naked Manicure collection and tons of great uses. For one you can create a very natural, clean manicure. I got to see these applied on one of the ladies there and I was impressed. French manicures are always so bold and don’t have that natural look, these guys give you the french mani but with a natural twist. Next great thing about the Naked Collection is you can use them as a base to certain colors that tend to leave you with a VNL! Next up we take a quick stop by The Painted Nail booth. 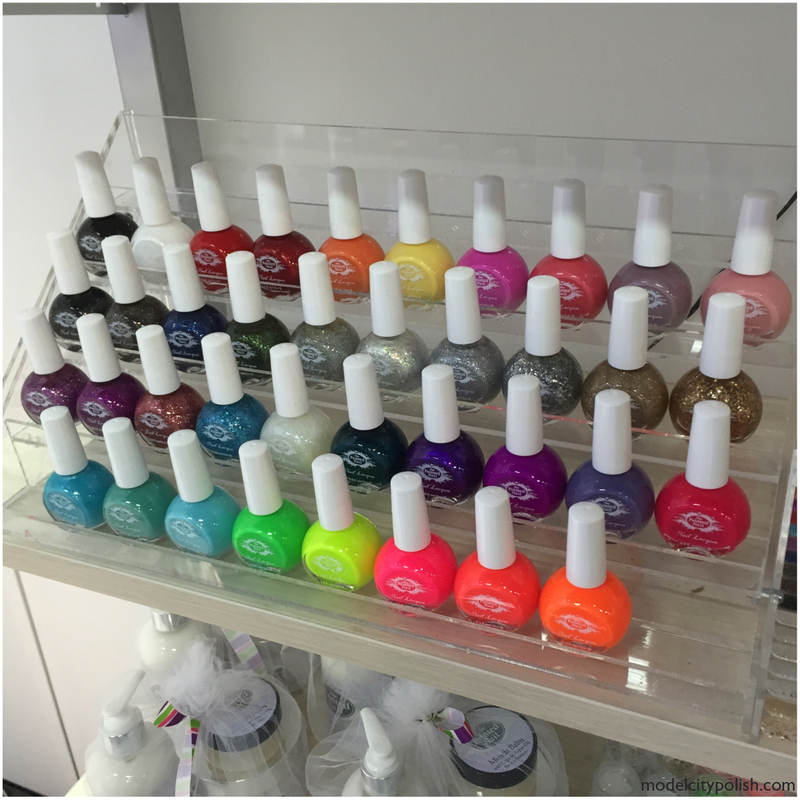 The color line up was amazing, I got to see the Steam Off in person, and the nail care products were endless! Be sure to keep an eye out on the blog for swatches of that amazing neon green! 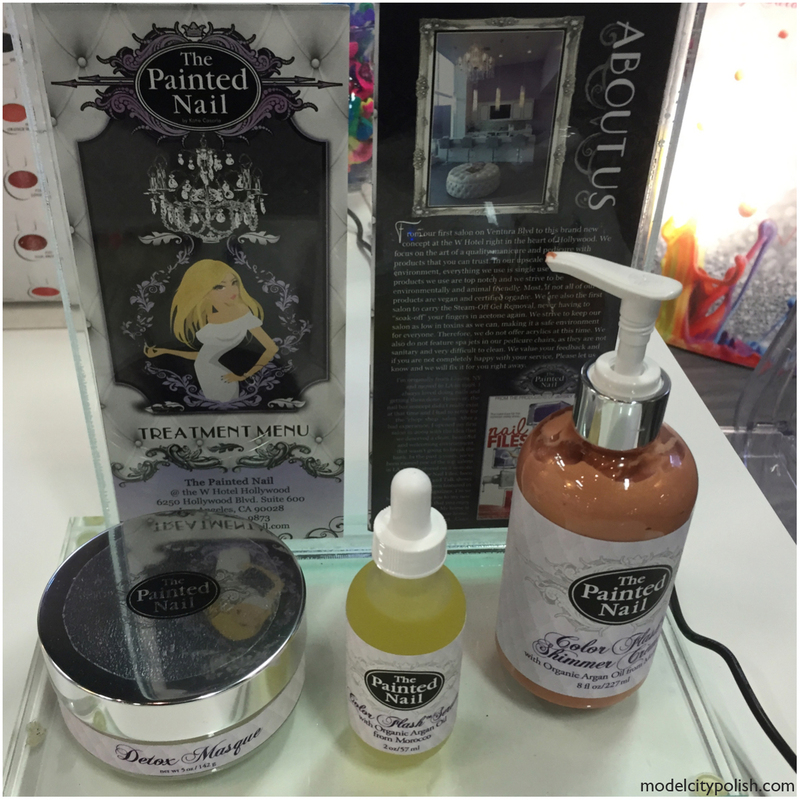 Next we are going to swing by the MoYou Nails booth and see what we have coming out this year! Richard, the man behind their social media, was awesome as always and he was kind enough to show me a few new things for this year. First we have their new Miss Nella polish line. 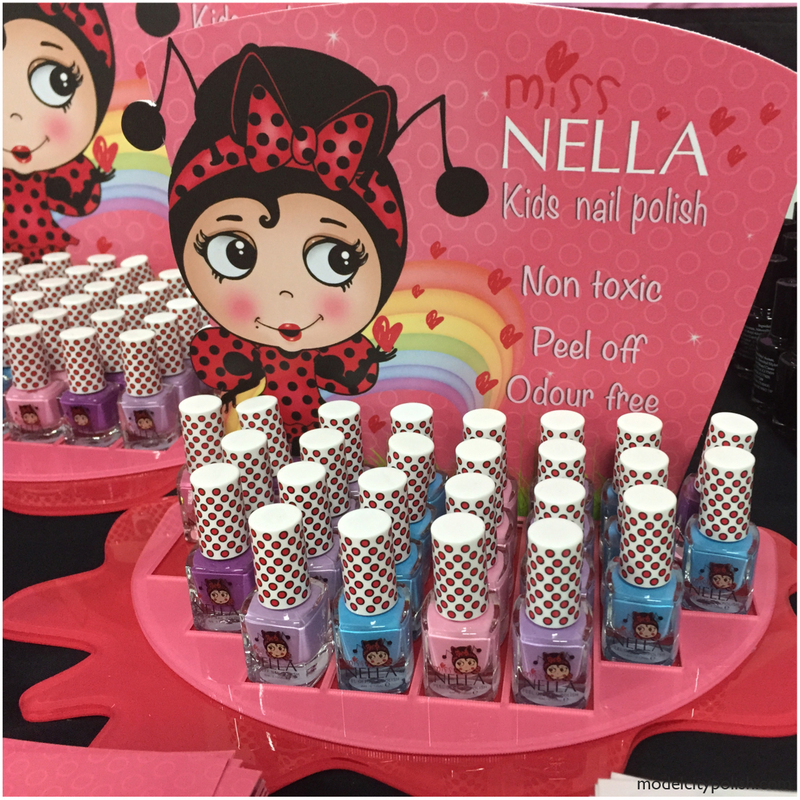 This is a non toxic, water based, peelable nail polish that is just perfect for those young lacqueristas. The colors shown below is just a few of their color offerings, more coming in the future. 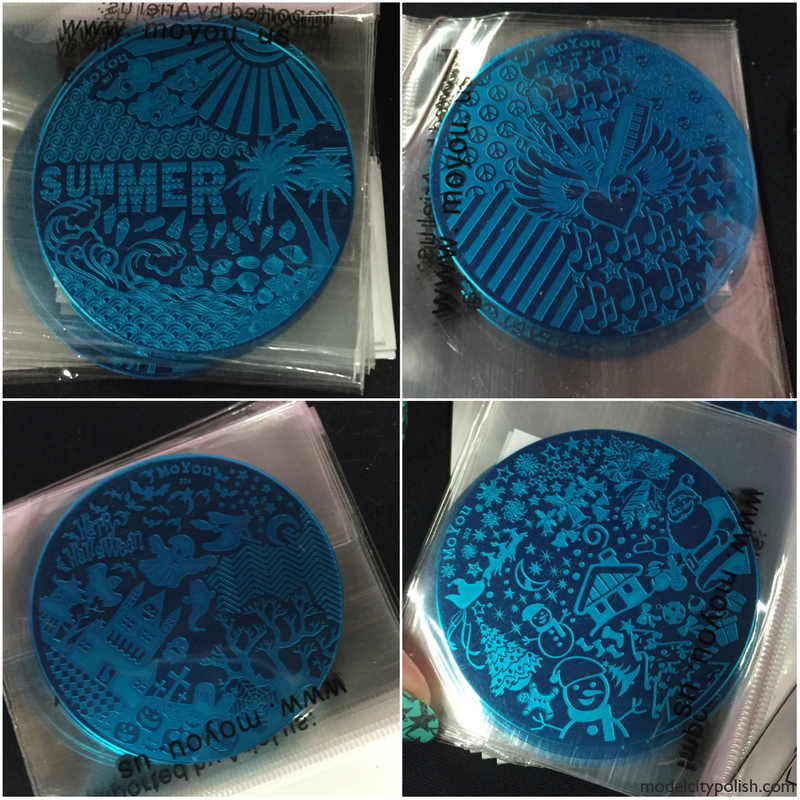 Along with the new kid friendly polish line, they also have some new full image plates. I snapped a few quick pics of some of my favorites. Now for the Color Club booth. 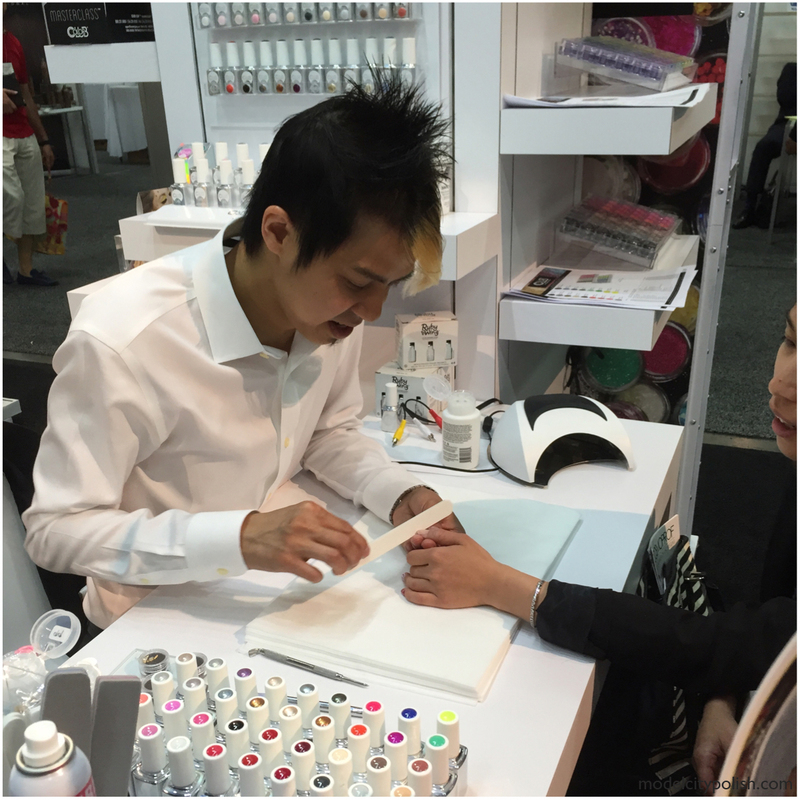 To kick off this booth I had a total fan girl moment, Robert Nguyen was there and doing nails! I got to see his work in action and it was so awesome! He showed me a few of the new things Color Club has in the works or coming out very soon, like the holographic gel line! I then got a tour around the booth filled with awesome products. 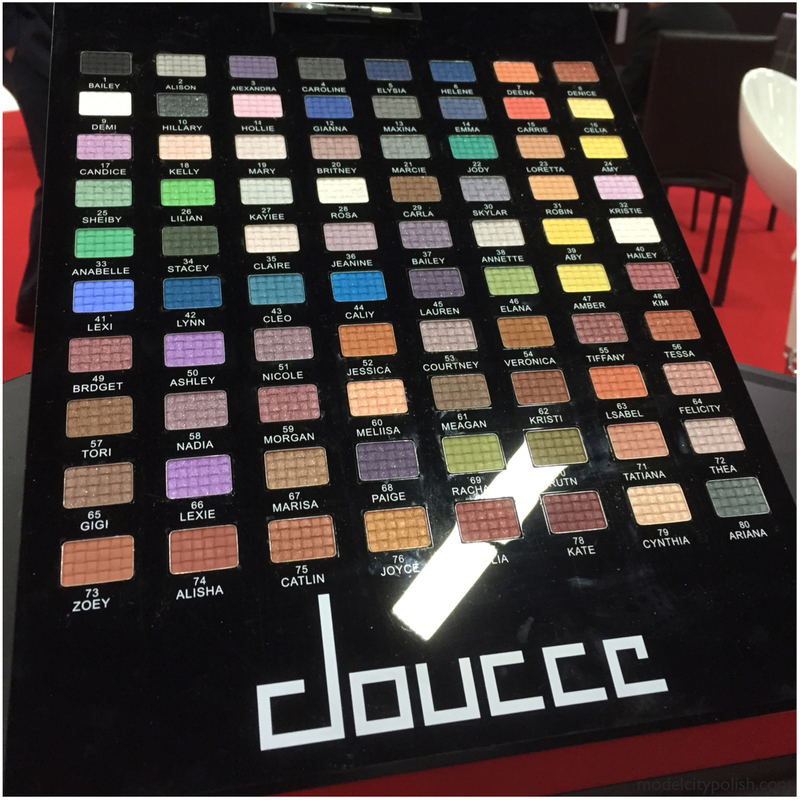 Color Club is certainly always cutting edge with the color combos and kit offerings. Some of my favorites from the booth was the Playbook line up which varied from duo sets to kits complete with decals. The Alabama set has my name all over it! 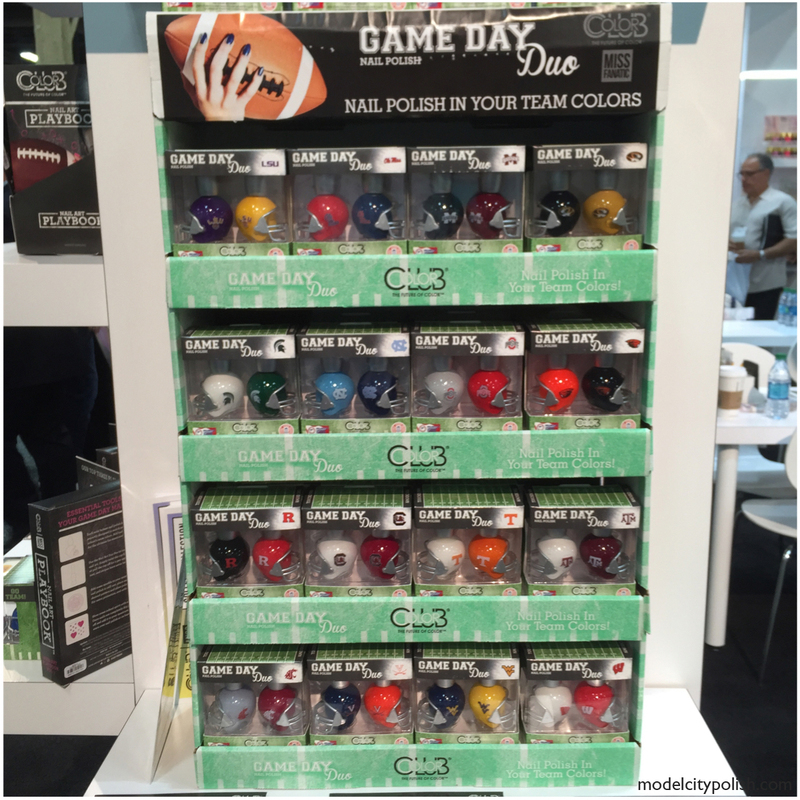 The Playbook line up can be bought at Color Club Sports. Another awesome kit offering is their Masterclass kits. 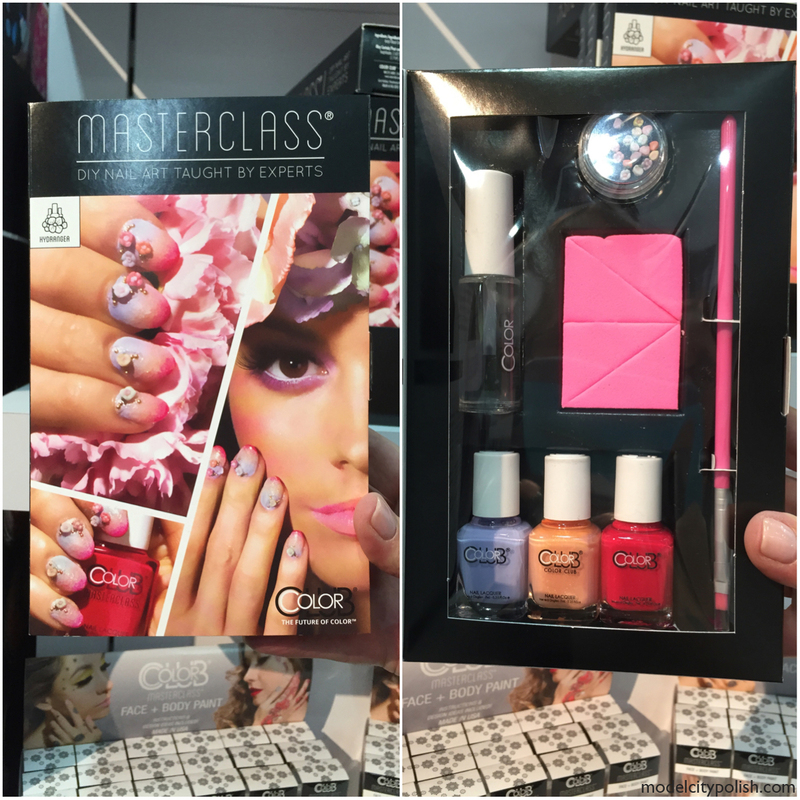 These kits are complete DIY nail art kits filled with everything you need to compete the defined look. 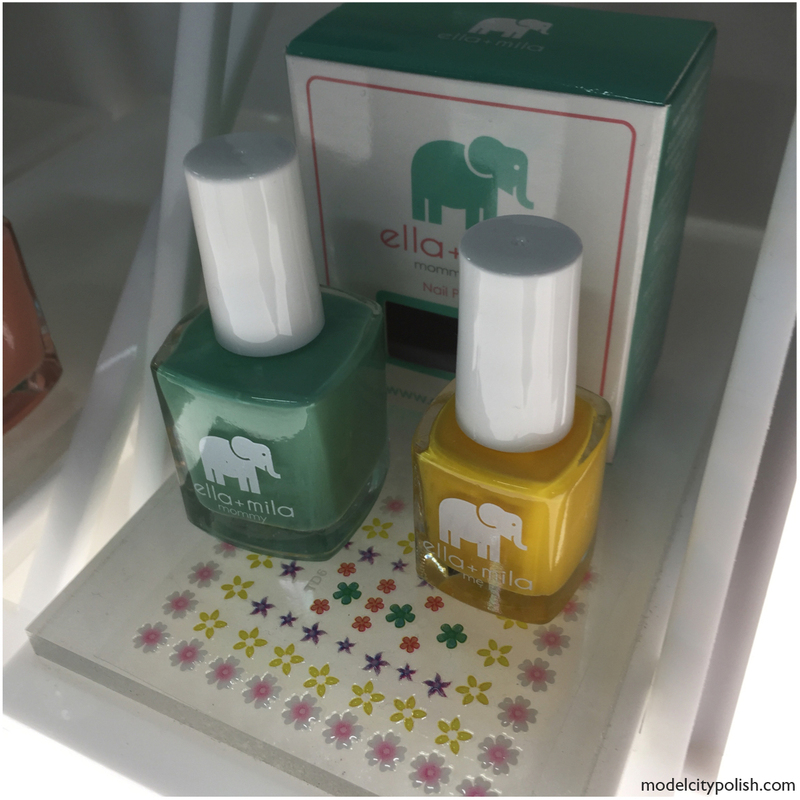 Now for some of the cutest bottles at Cosmoprof, Ella + Mila. Not only do they have a wide range of great colors, they have this adorable Mommy & Me sets which contains a full size and mini bottle in complementing colors and cute little decals. Now for some new goodies from Doucce. They are releasing a full line of great colorful eyeshadows that are going to be sold individually so you can create your own custom palette. And as always, the compact for the eyeshadow is super slick. Next I decided to swing by the 100% Pure booth and see what this year’s Beauty Pitch winners had to offer. Not only do they offer a full line of natural cosmetics but they offer nail polish that is 10 Free. Check out the amazing color I found, Midsummer Night’s Dream. Next we swing by the Leighton Denny booth. 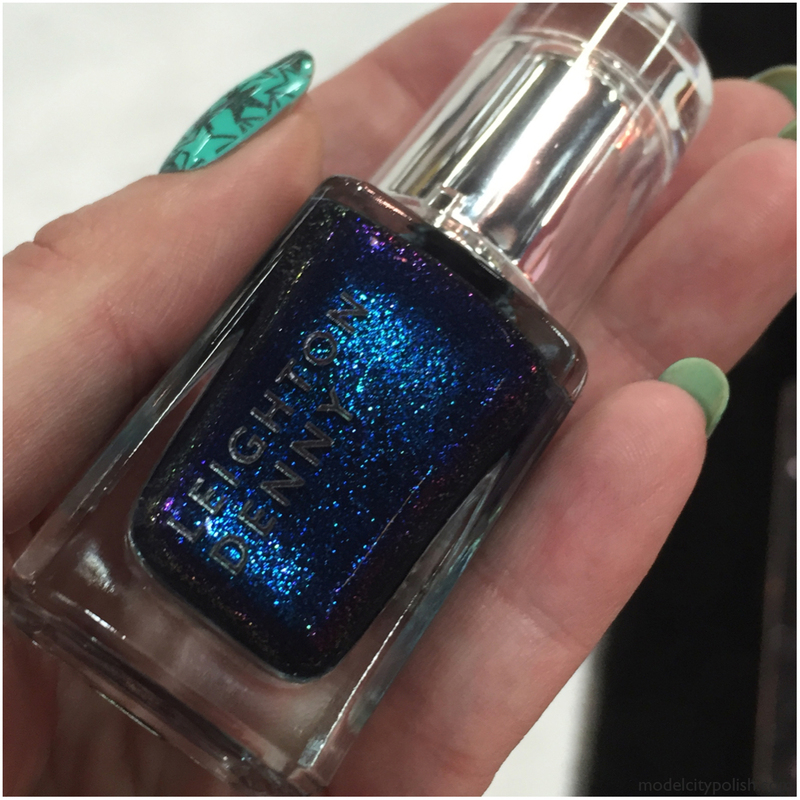 This is a lovely nail line from the UK that is starting to dip their toes into the US market. 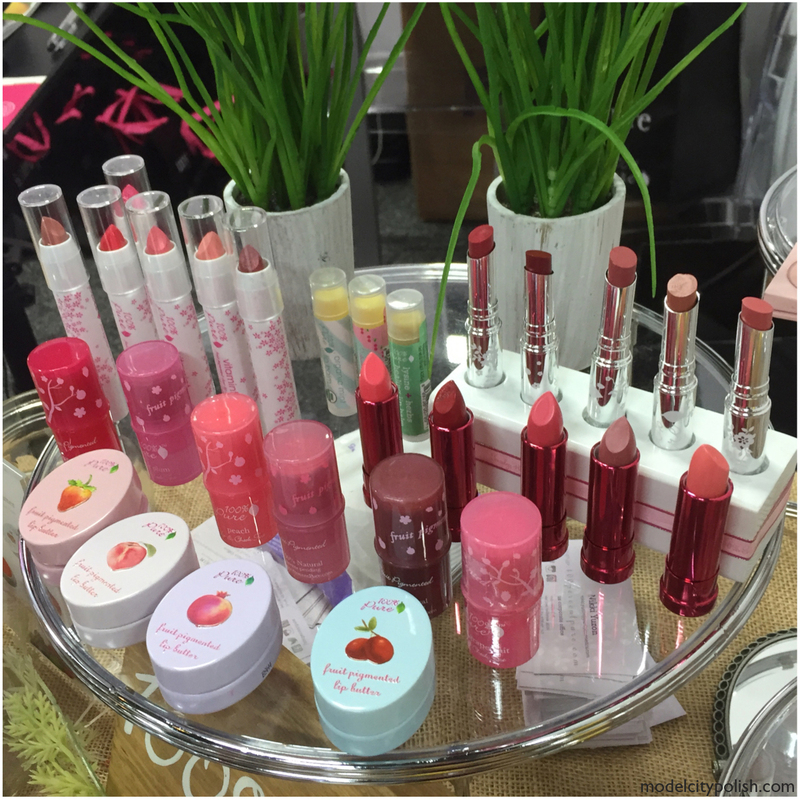 They offer a large range of colors, cute minis, and beautiful packaging. 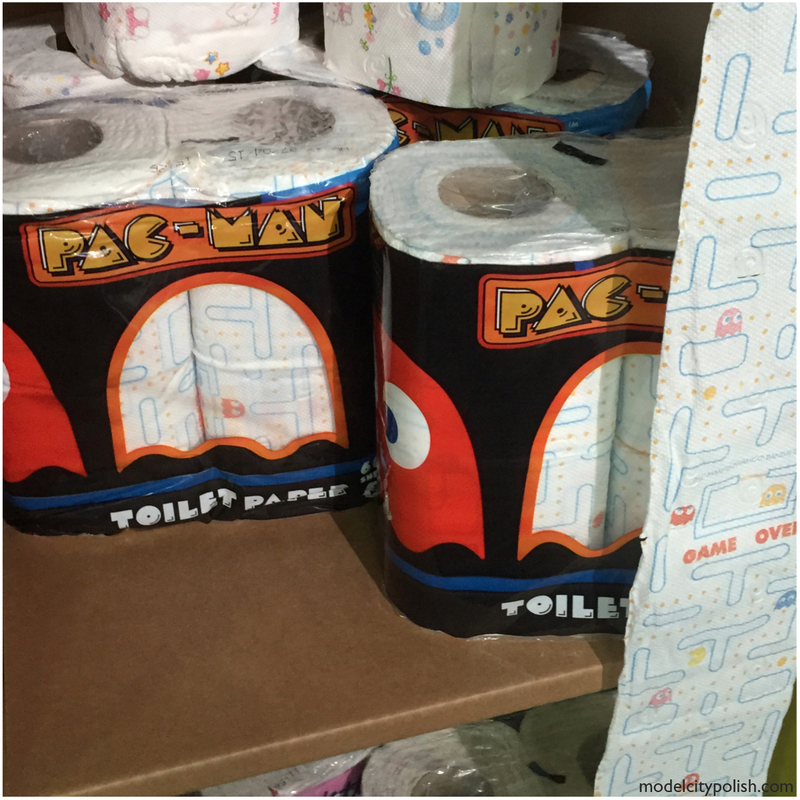 And lastly, just a product I totally geeked over! It looks like you had such an amazing time, even on the first day! I can’t wait to see what Zoya has up their sleeve, as well as the other Color Club holos! 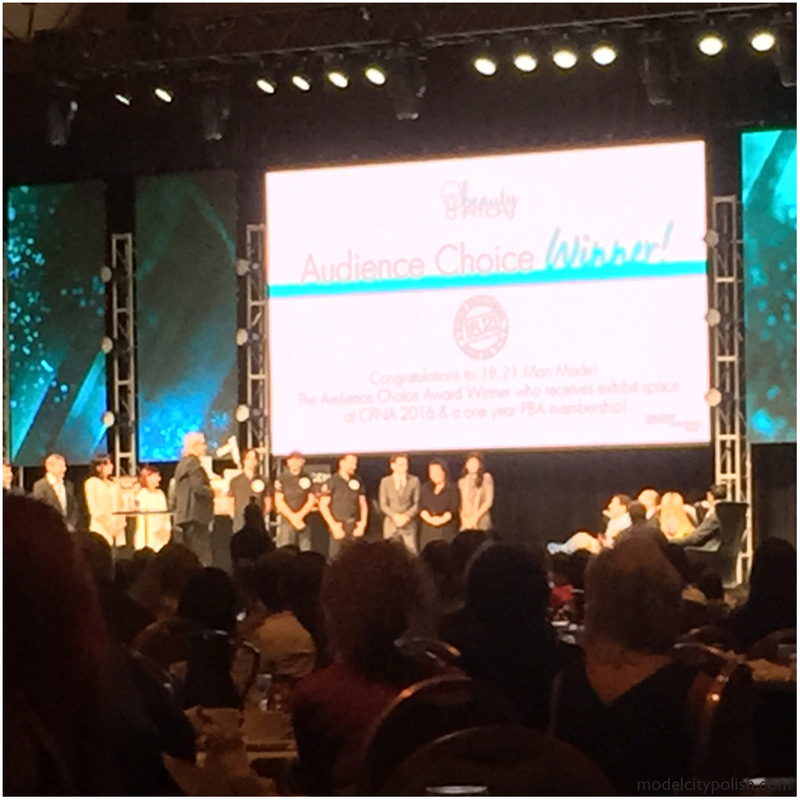 Thanks so much for sharing your Cosmoprof experience with us! I look forward to the next day!